The next-generation Volkswagen Scirocco, due to arrive in 2015, may finally find its way to the US. It’s been an on-again, off-again rumor for several years now, but perhaps 2015 will be the year in which the Volkswagen Scirocco will be coming to the US. 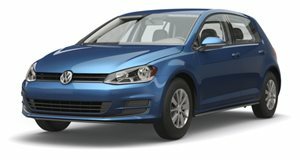 In a new report that was just published in AutoGuide, when asked whether there’s a plan for the current Scirocco to arrive stateside, a VW rep stated that "We don’t have any plans to offer this current generation in the US...but we are open to looking at future versions of the vehicle for this market." Clearly that's not a flat-out denial. Although the Scirocco you can buy now in Europe is based off the previous-gen Golf, this same VW source claimed that it was never engineered for the US, which likely means it doesn’t meet safety standards. However, the fourth-generation Scirocco will debut sometime in 2015. In a past report, VW design boss that he didn’t "want to repeat the body style of the current Scirocco." In other words, the next Scirocco may not be a three-door hatch. But whatever the final design turns out to be, it’s sounding more and more likely that the Scirocco will return to the US after a nearly 30 year absence. Hat tip to Jason L.